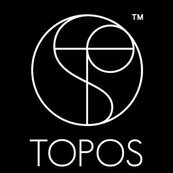 I contacted TOPOS for a residential renovation project a few years ago. Alan and his team were very enthusiastic when presenting to us his ideas and options. We had to take into account budget as well as necessity as the timeline progresses but they always provide us with an alternative with similar results or sometimes even better. They also show a good amount of genuine care and support for client-designer relationship and also come off as an approachable figure when we face a tough call to make during the span of the entire project timeline. Till today, we are still attracted with what Alan and his team has done for us and would definitely recommend him to others who are looking for not only a temporary makeover, but one that still maintain its beauty and character with time.